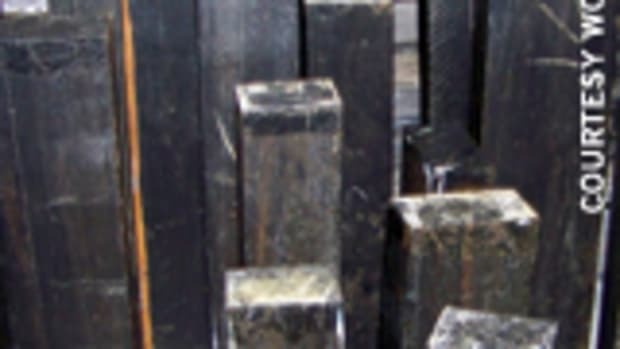 Shedua (Guibourtia ehie), also known as ovengkol and amazakoue, is an African wood that is used for furniture, cabinetmaking, flooring, marquetry, guitars, jewelry boxes, decorative objects and veneer. It is in the same family as bubinga (Guibourtia tessmanii), but the tree is much smaller. Tree heights reach nearly 100&apos;, but have a small trunk diameter - a maximum of 3&apos;. It grows primarily in Gabon, Ghana, Nigeria and Ivory Coast. "More than half of what I sell is for furniture-type pieces and then the rest of it we just chop up for guitar parts," says Myles Gilmer, owner of Gilmer Wood Co., an exotic wood dealer in Portland, Ore. "The other big thing it is used for is risers for compound archery bows." 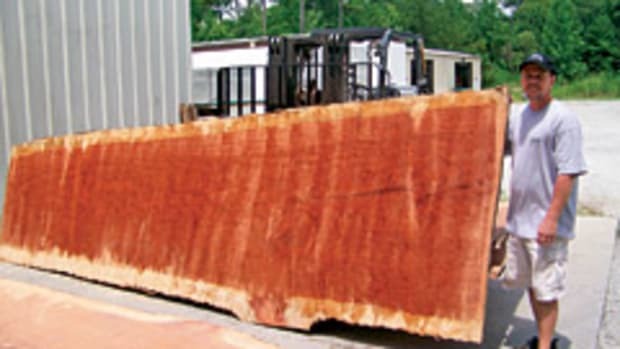 "We carry 4/4 and 8/4 lumber, which bow makers love and, when we bring some in, we usually have a log flitched out with the wide slabs," says Matt Westmoreland, a wholesaler with World Timber Corp. in Hubert, N.C. "I have a log right now that is probably 3&apos; wide and about 16&apos; long." 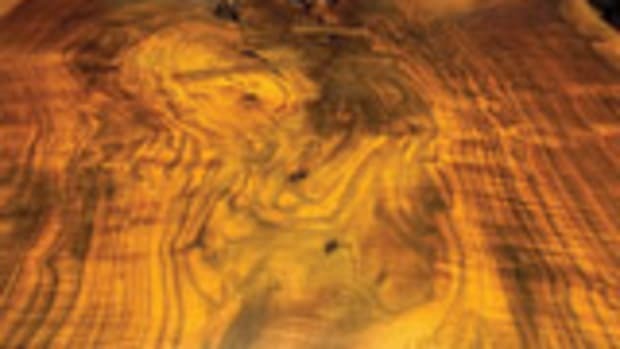 Shedua is prized for its curly figure when quartersawn, displaying a wide range of colors from a golden-brown to a darker brown with black stripes. 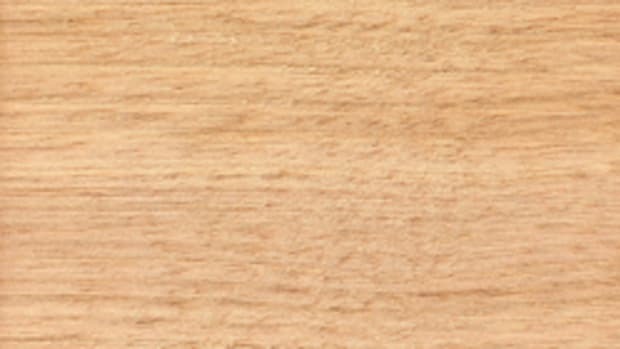 The sapwood is a creamy white, about 3" wide and clearly demarcated. 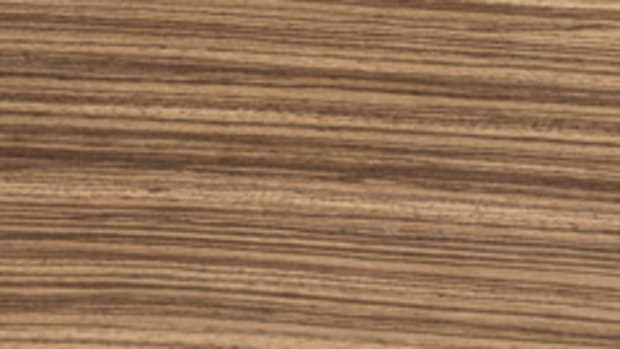 "It&apos;s a yellowish-brown kind of color with a black grain pattern, maybe a little darker than zebrawood," Westmoreland says. A shedua log is difficult to predict for figure. "Shedua is the only species where you can&apos;t tell if the log is curly until you start sawing," says Rocky Mehta, owner of West Penn Hardwoods, a retail and wholesale dealer in Olean, N.Y. "That&apos;s why we don&apos;t have much. I don&apos;t want to take the risk of buying a big log and not know if it is figured or not. It&apos;s not a very popular species because of that. If anyone sees the figured stuff versus the non-figured stuff, nobody buys the non-figured stuff. It&apos;s just brown with dull black lines in it." "I just buy random," Gilmer says. "I&apos;ll say, &apos;Send me 10 cubic meters of 8/4 shedua,&apos; knowing full well that I don&apos;t know what I&apos;m getting, but I don&apos;t think I&apos;ve ever had less than 50 percent high figured. When it comes in, we go through it and separate the plain from the figured. The plain sells pretty inexpensively and the figured sells high." 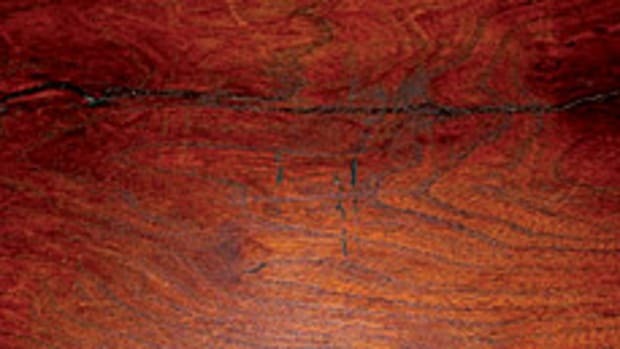 Shedua is a heavy and durable wood with good working properties. 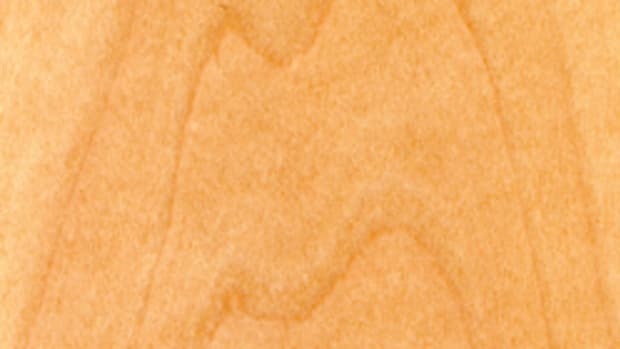 The grain is usually interlocked and the texture is moderately coarse. 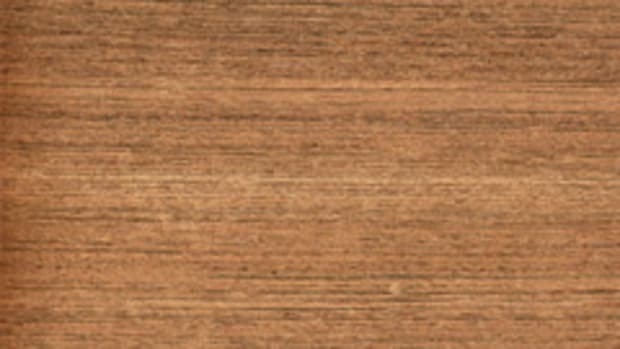 Sometimes the wood exhibits white deposits that can easily be washed away with hot water. Shedua finishes with a high luster, especially figured material. "When you finish it, that gold-tan really glows like you have gold mixed in it," Mehta says. "We sell it to a lot of guitar makers for backs and sides and I&apos;ve seen some finished that are amazing." 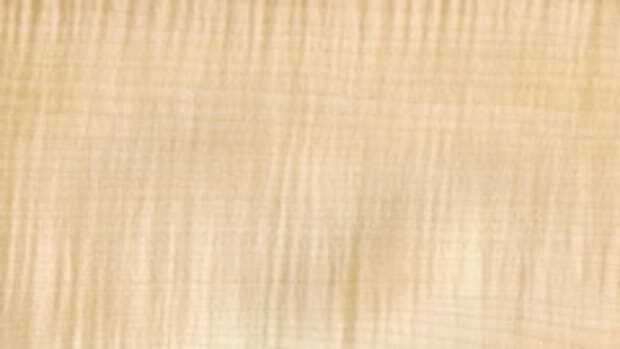 "There is a Japanese guitar manufacturer that has used it for a number of years and that probably contributed to its popularity for guitar wood," adds Gilmer. "It is related to bubinga and it doesn&apos;t have fantastic acoustic properties, but these days people don&apos;t seem to care about that so much. They just want something that eye-pops." Plain 4/4 shedua goes for $9 to $12/bf, while quartersawn is about $13 to $14/bf. Figured stock will cost about $15 to $21/bf.